Mary Louise (Miller) Dunning was born on October 8, 1937 to the late Lillian Miller and Carlin Miller and was raised in Old Brooklyn, Ohio. Mary passed away at age of 81 on January 22, 2019 in Cleveland. Mary, a loving mother, lifelong public servant and advocate, was a graduate of St. Luke's Hospital, Baldwin Wallace University and Cleveland Marshall College of Law. Mary began her well accomplished career as a registered nurse. While raising four children, Mary still made time to serve her community. As a councilwoman for Ward 7 in the City of Parma, she was instrumental in establishing the Parma Senior Center. She flew to Washington DC to negotiate the free land donation for Cuyahoga Community College where the Nike Site is located. Mary was also President of Parma City Council. Mary went on to obtain a degree in psychology and a juris doctorate from Cleveland -Marshall College of Law, at age 50. After law school, Mary was an assistant prosecutor for the City of Parma. In 1995, Mary was elected to serve as a Judge for Parma Municipal Court and served two terms until her retirement in 2007. 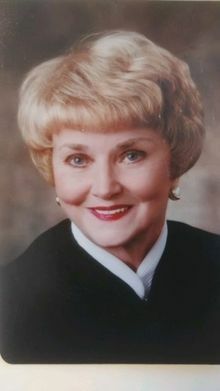 After retiring, Mary served as a visiting judge for eight years and also volunteered at Parma Hospital. Mary had a passion for helping others and traveling the globe with friends and family. A role model to working mothers, Mary will be forever missed and her legacy of work will never be forgotten. Mary was the loving wife of the late Allan Rossin. Beloved mother of Laura Gierowski (Gary), James (Sheilah), Mark (Carol) and Darren (Renee Guy). Loving Grandmother of Heather, Dean, Darren, Rachel, Amy, and Colin. In lieu of flowers, memorial contributions may be forwarded to Divinity Lutheran Church.